Astigmatism can develop in adults, but it often occurs early in life when children are too young to realize there’s something wrong with their vision. The doctors at Marina Del Rey Optometry work well with children and adults, using advanced technology to quickly diagnose astigmatism and determine the best treatment. 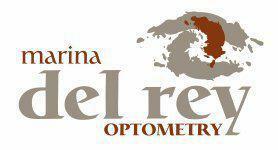 Call the office in Marina Del Rey, California, or schedule an appointment online as soon as you notice vision problems. When light enters your eye, the cornea focuses the light beams toward the lens. The lens then tightly focuses the light so it hits one precise spot at the back of your retina. Astigmatism occurs when the incoming light isn’t properly focused on the retina. A normal cornea is perfectly curved like a basketball, so it bends the light evenly no matter where it hits your eye. As a result, all the light is properly focused. When you have astigmatism, your cornea is shaped more like a football. Its uneven shape bends the light unevenly. As a result, the light isn’t properly focused and it hits different spots on the retina. The unique nature of astigmatism — the fact that light can hit various locations inside your eye — means that it blurs or distorts your vision at all distances. In other words, you’ll have nearsightedness and farsightedness. Astigmatism can also cause eyestrain, headaches, and eye discomfort. The doctors at Marina Del Rey Optometry use the most advanced instruments to measure how your eye focuses light. They’ll measure the clarity of your vision using a retinoscopy, which is quick, reliable, and requires minimal cooperation from the patient — so it’s a great test to use with children. Your doctor may also perform corneal topography, a type of imaging that maps the shape of the cornea. The information obtained from these tests is sufficient to diagnose astigmatism and to determine the best course of treatment. What treatments are available for astigmatism? LASIK surgery uses a cool laser to precisely reshape the cornea so that it accurately focuses light onto the retina. LASIK has been proven to be safe and effective, and the procedure is quick. It’s combined with advanced wavefront technology, which maps the eye so your Marina Del Rey optometrist has a custom profile showing where to make changes. These are specialized soft contact lenses engineered to correct both nearsightedness and farsightedness. You may know gas permeable contact lenses by their common name: hard contacts. Since they’re rigid, they can replace the misshapen cornea to properly bend light.